Rabbi Zalman Schachter-Shlomi: Following up on Rabbi Zalman Schachter-Shalomi’s live conversation on Skype last January, Rabbi Deborah Brin of Congregation Nahalat Shalom is making available a series of DVDs of Reb Zalman, called Davenology. We will watch a DVD of Reb Zalman’s in which he tells stories and teaches us about how to pray, how to daven, how to develop creative new forms of meaningful prayer. All are welcome. 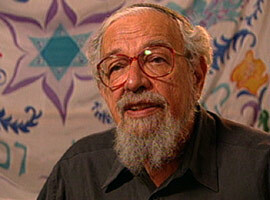 Reb Zalman is the founder of the Jewish Renewal movement, a leading authority on Kabbalah, Hasidic life, and Jewish mysticism. He is Professor Emeritus of Psychology of Religion at Temple University, a profound and moving teacher.